We host curated events where practitioners share stories about their practice. If you are interested in presenting let us know. Subscribe to our YouTube channel to be notified when we post our latest talks. Humans are the first single species to have seriously disrupted the biosphere’s critical life support systems and are now the dominant force for Earth system change. 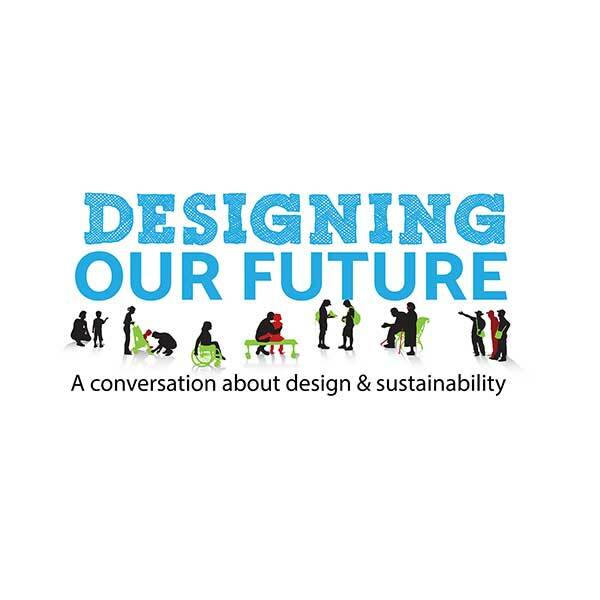 How might we design a more sustainable future? Speakers include Cameron Tonkinwise (UNSW), Suzanne Benn (UTS), Oliver Dykes (Meld) and Abby Mellick Lopes (UWS). 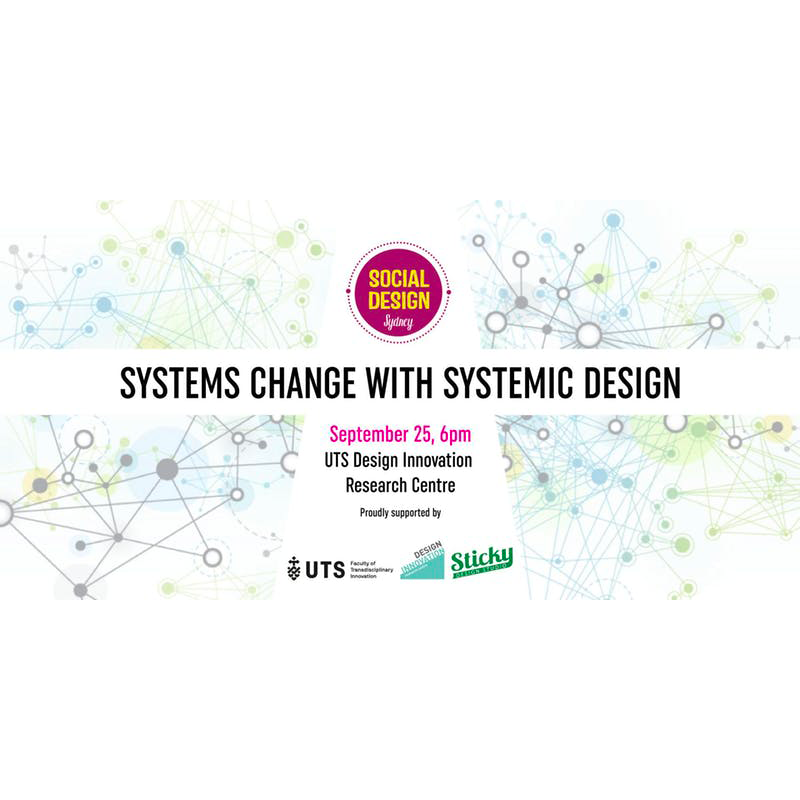 Systemic design is a recent initiative that combines systems thinking with human centred design to create wholistic solutions to complex problems. Mieke van der Bijl-Brouwer (UTS) and Tim Tomson (Axilo) discuss international and local design practices. Our panel share their different approaches to designing for and with community. 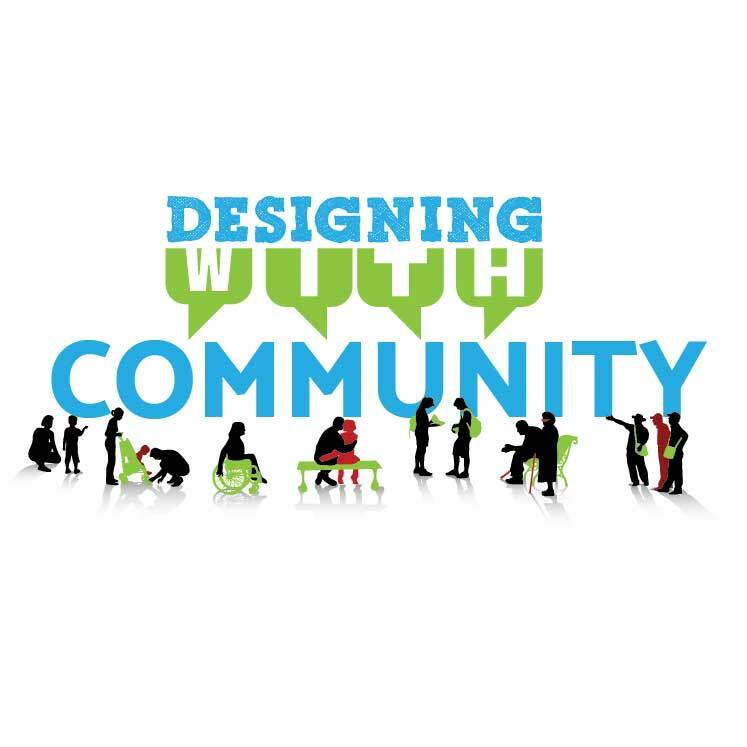 Yoko Akama (RMIT) discusses her ‘readiness’ approach to participatory design, and Dee Brooks (Jeder Institute) presents Asset Based Community Development (ABCD). 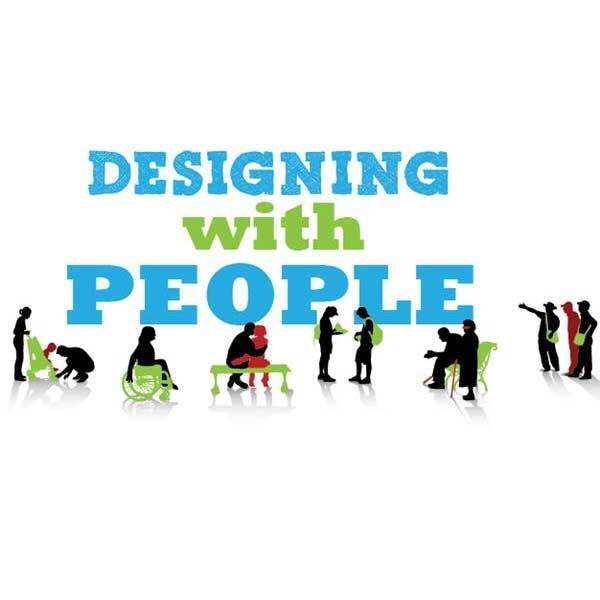 Learn about ‘Designing with’ people in very different scenarios, with case studies and research for participatory projects ranging from community to global initiatives. Jax Wechsler (Sticky Design), Mathan Ratinam (World Bank) and Kerry Graham (Collaboration for Impact) present. 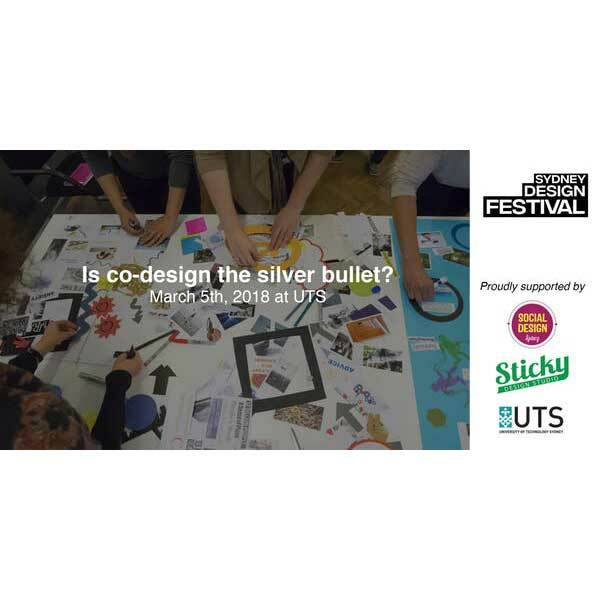 Is Co-design the Silver Bullet? There’s a lot of talk about co-design in all sectors these days. 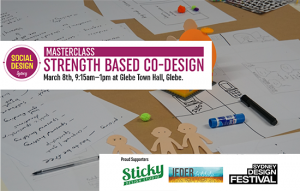 But does co-design always lead to action? Jax Wechsler (Sticky Design), Emma Blomkamp (University of Melbourne), David Lilley (Holos Consulting) and Chris Vanstone (TACSI) present successes and failures. Transition Design is an emerging field of design research, practice and study, which looks toward design-led societal transition toward more sustainable futures. Professor Terry Irwin (Carnegie Melon University), Kees Dorst (UTS) and Sasha Abram (Westpac Bank) present. 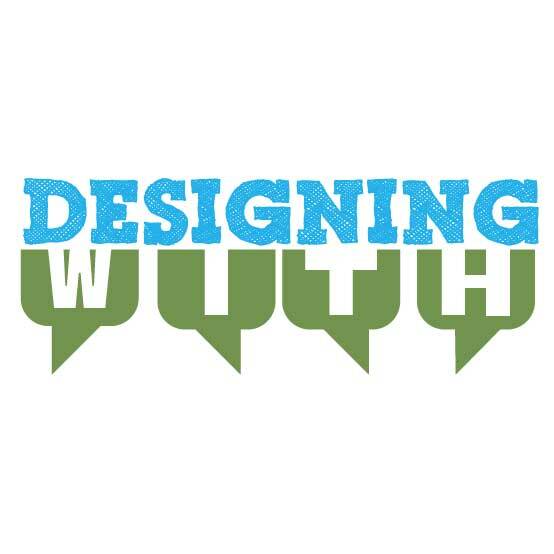 An in depth view of a specific social design program; hear from the designers involved, the government client and the team responsible for evaluation/social impact assessment. Michelle Miller, Dr Tobias Andreasson and Aunty Vicky Charles (TACSI) and Anna Powell (Clear Horizon) present Designing with Aboriginal jobseekers. 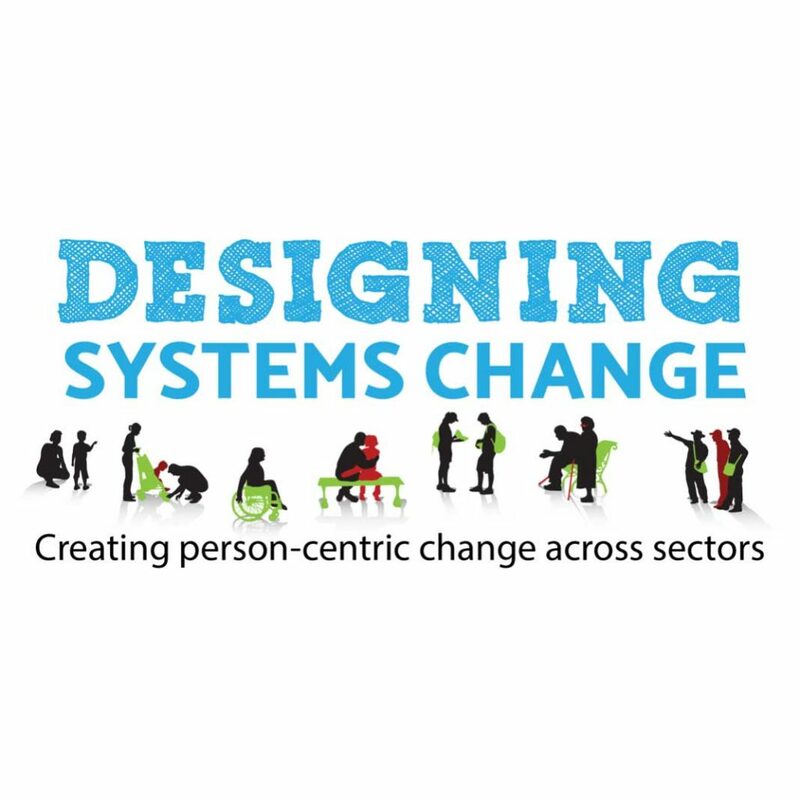 How might we (re-) build systems across sectors with people that help rather hinder them to move forward? Kerry Graham (Collaboration for Impact), Clare McKendrick (Consultant) and Melissa Edwards (UTS) discuss research and experiences with community, health outcomes and the circular economy. The UK Policy Lab is a creative and experimental space, designed to help the government get better at policy-making; open it up, make it quicker, more digital and more connected with the people who are affected by it. Panel discussion with Leisa Reichelt (Digital Transformation Agency) and Mieke ven der Bijl-Brouwer (UTS). A growing number of people are focusing their heads, hearts, and hands on addressing complex social challenges through Social Labs. 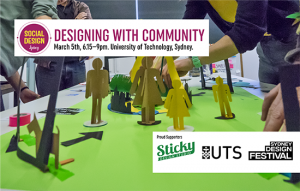 Three leaders in the this approach space talk about their experiences designing with communities; David Lilley (United Way Australia), Sam Rye (Roller Strategies) and Assoc Prof Amanda Third (UWS). Daniel Mohr (InWithForward) discusses the Fifth Space Project and building design capability amongst non-designers. Jax Wecshler (Sticky Design Studio) presents a recent project completed for NSW Family and Community Services. 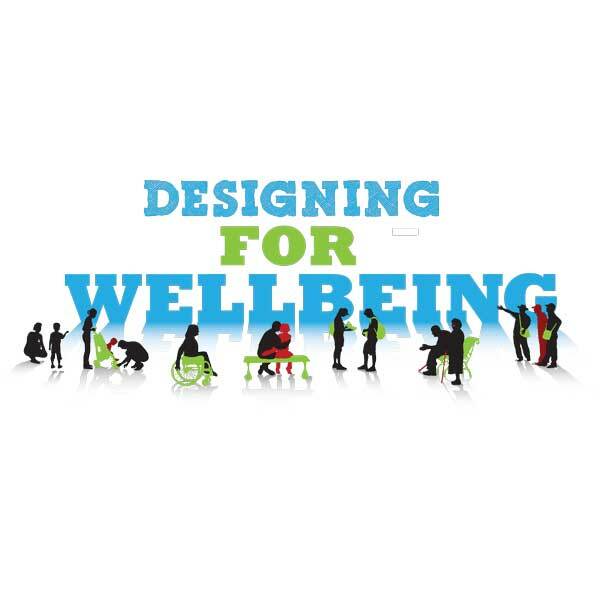 A conversation, and global case studies discussing designing for wellbeing. Dominic Campbell (FutureGov), Danielle Madsen (TACSI) and Susan Wolfe (OE Strategy) present and discuss their projects: Patchwork, Casserole, Enabled by Design and Family by Family. 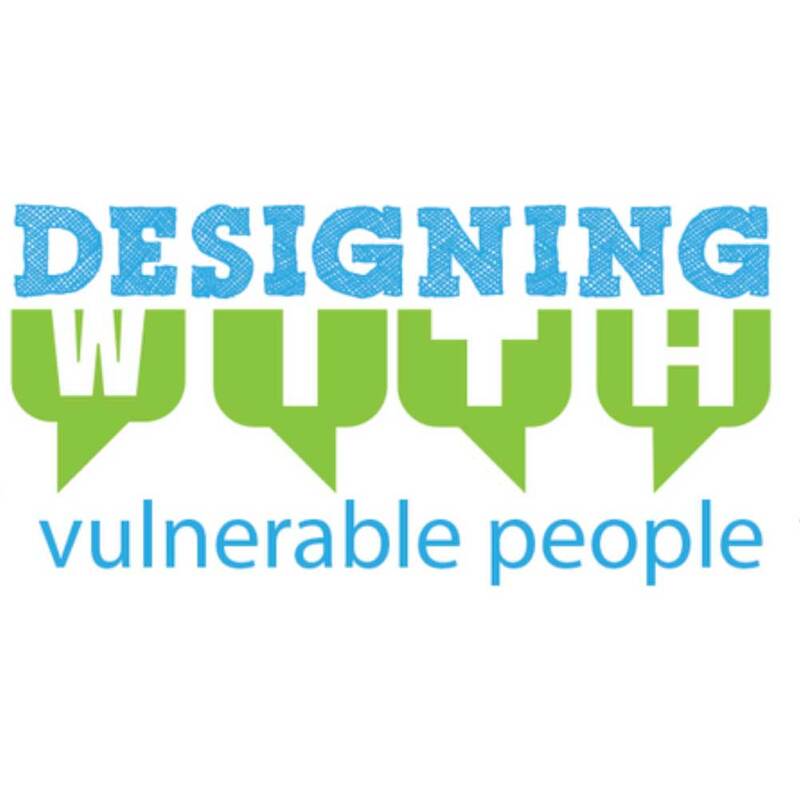 Susan Wolfe, who has been on the scene in Australia since 1995 (and now is also Principal of OE Strategy in San Francisco), has many years experience using design approaches for wicked problem solving. Conversation and case studies about design research in complex social contexts, and the moral and ethical responsibilities of social designers. Speakers include John Murphy and Kate Goodwin (NSW Dept of Justice), Charmaine Jones (consultant anthropologist) and Denise Belling (Design consultant). 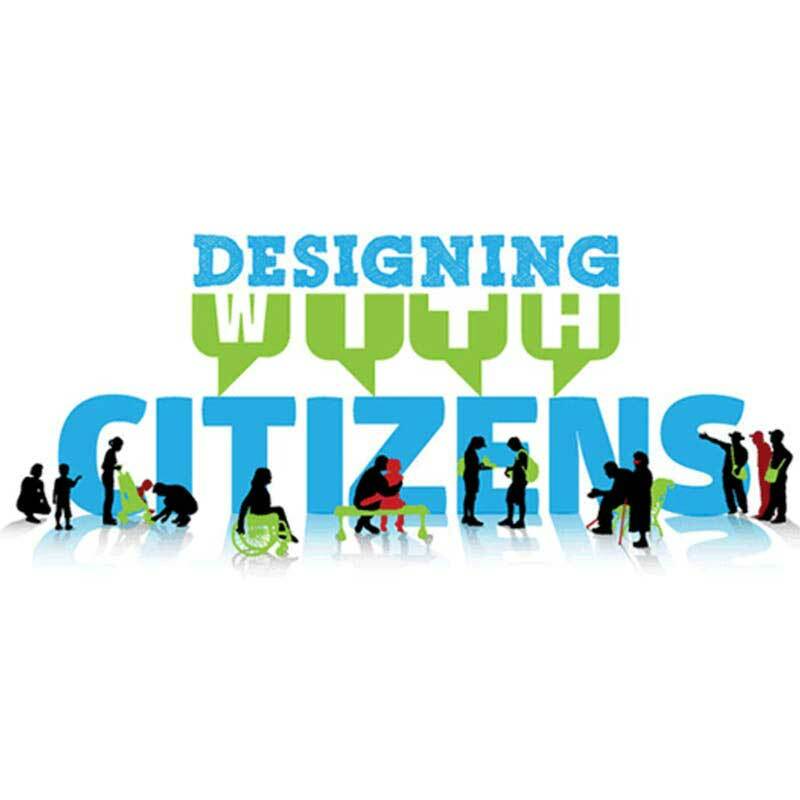 Australian case studies discussing citizen involvement in the design of public policy and services at the state, local and federal government levels. 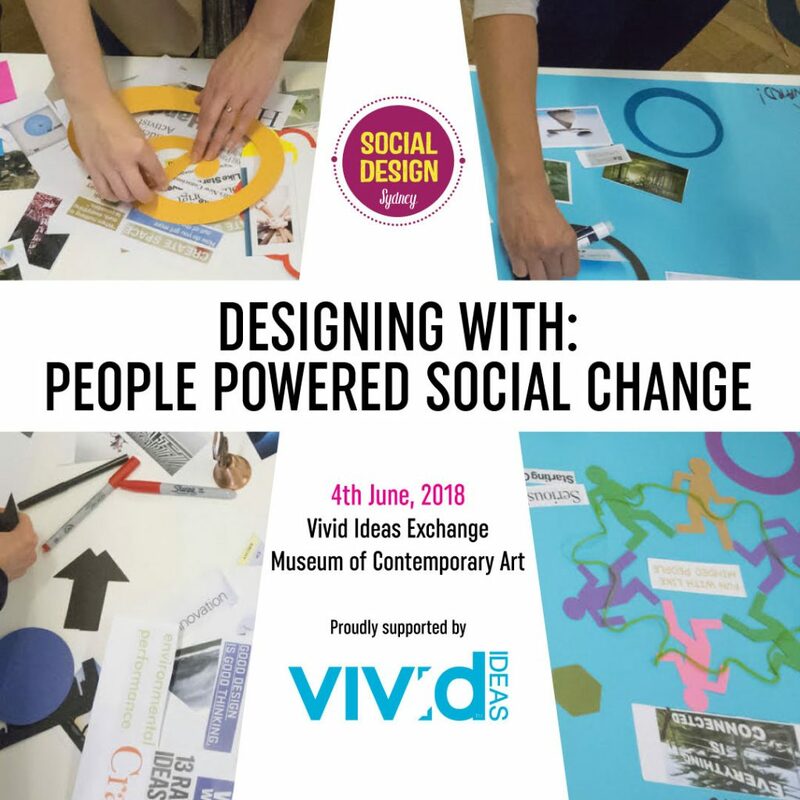 Speakers include: Jane Treadwell (Jane Treadwell Consulting) – DesignGov; Selena Griffith (COFA, Social Innovation Sydney) – Pittwater Council; Rodger Watson, (UTS) – Designing Out Crime. 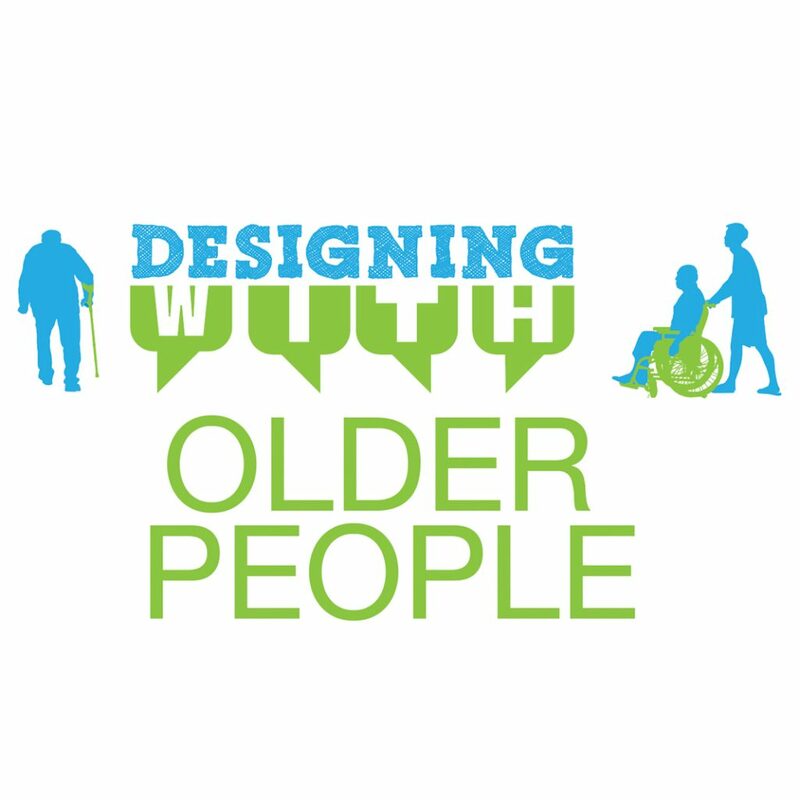 The rapidly growing ageing population presents real opportunities for design led innovation. 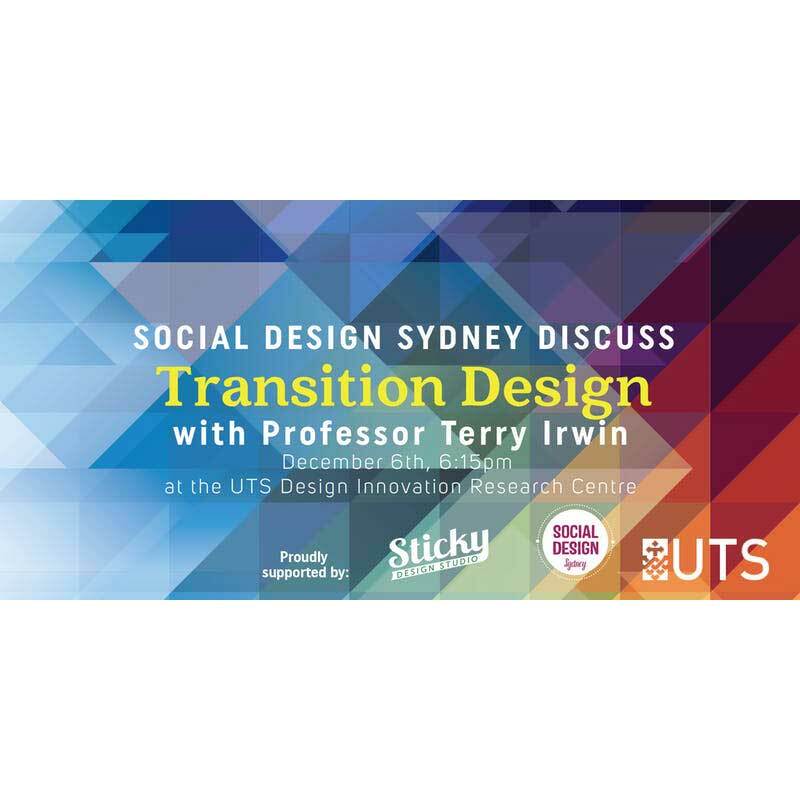 Four designers present their experiences: Dr Catherine Bridge (UNSW) – co-design and the built environment, Lauren Tann (designer and author) – the Alzheimer 100 project; Jean Paul Bell (Arts Health Institute) – Play Up; Dr Bert Bongers (UTS) – interactive solutions for rehabilitation. 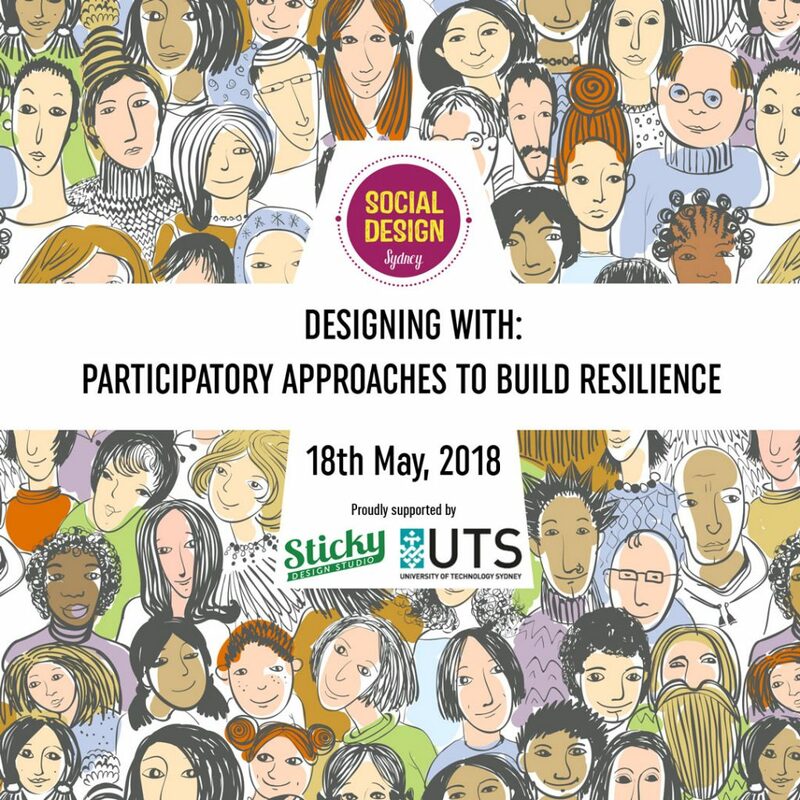 Designing With Event These case studies will include projects where design methods and co-design have been used in order to facilitate social outcomes. Tasman Munro will share his experiences co-designing with inmates and staff in NSW Corrective Services. Hear Social Designer Ingrid Burkett sharing her work with marginalised Australian communities and Alex Cheek and Dean Parkin discussing a project co-designing a new vision for aboriginal native title with North Stradbroke Island’s Traditional Owners.